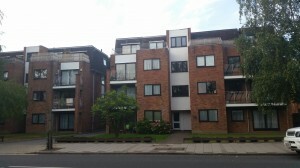 Haven Court is a block of residential flats in the popular London suburb of Beckenham. Interestingly, Premier have been installing windows in the flats in this property for the last 15 years. In fact, the residents there are so pleased with the quality of our work that thanks to word of mouth recommendation there are only two more flats in the building left to receive windows from Premier. The particular customer in question required a new set of windows. We supplied them with dual coloured uPVC windows for an extra splash of colour and versatility: they were rosewood on the outside and white on the inside. The uPVC windows will also provide great thermal retention, and help improve the energy efficiency of the building. We also supplied the property in question with a brand new patio door to improve accessibility to the outside garden. The owners were very happy with the result. At Premier we offer a wide variety of windows to choose from, suited to most types of property. We offer traditional wooden windows such as timber casement windows, and timber sash windows, to more modern uPVC casement and sash equivilants. Whatever your style or needs, Premier’s product range is sure to have something to suit you and your property. Premier have almost 60 years’ experience of improving homes in the South East of London. If you’re looking for a friendly, knowledgeable and reliable installation service, and live in London or the surrounding region, Premier Windows is the ideal company for you. For more information about any of our products or services, please give us a call on 020 8683 4446 or send alternatively, send us an email. We hope to hear from you soon!